I have a display issue with my over-head compass and temp that will sometimes be ok and others be like in the picture (kind of ghost display). Before I start to try to fix it, I was wondering if anyone here had seen and fix the issue ? Mine does it, but it snuck up over time and didn't really realize it was a defect. I guess I figured it was just an old display. 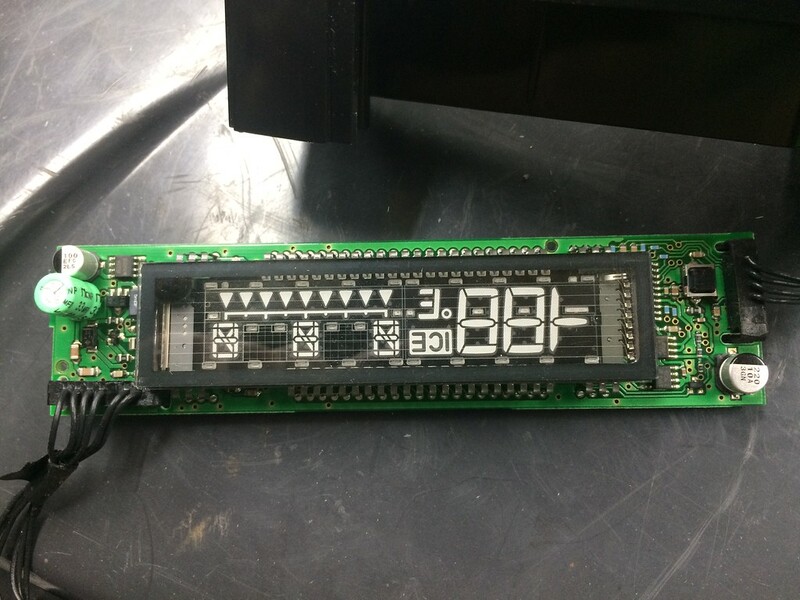 I dont have that issue but Id guess its similar to the digital clock on the dashboard going out due to soldering on the circuit board failing. Does the ghosting change at all with vibration? Hmm.. well I would suspect the issue is board component related rather than communication between the board and the display. I also don’t know anything about these displays whatsoever. Its all self contained, just like the clock. Simply connects to power and a air temp sensor in the front grill. Connector is like 6 wires. My 2001 had a TSB for being persistently 8F too low. 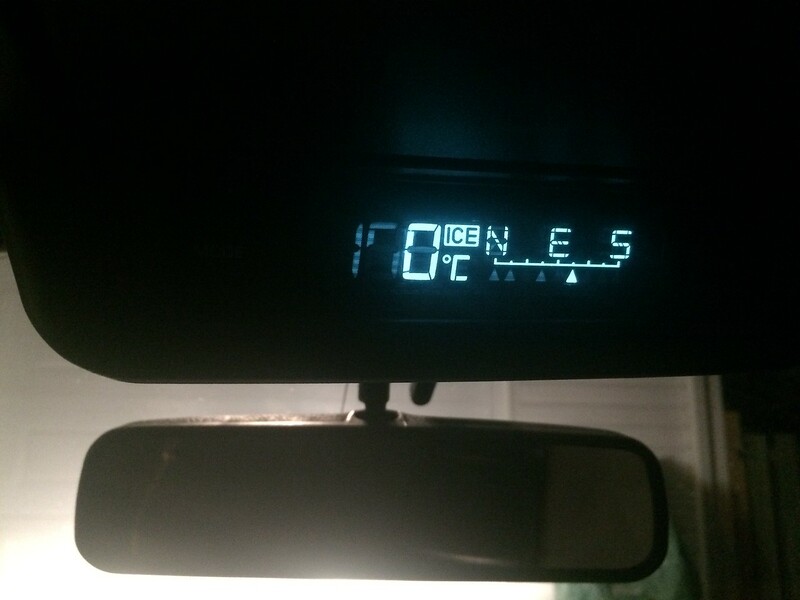 I bought a new one out of a 2003 at the Junk Yard for about $8, and it fixed the low temperature display problem. 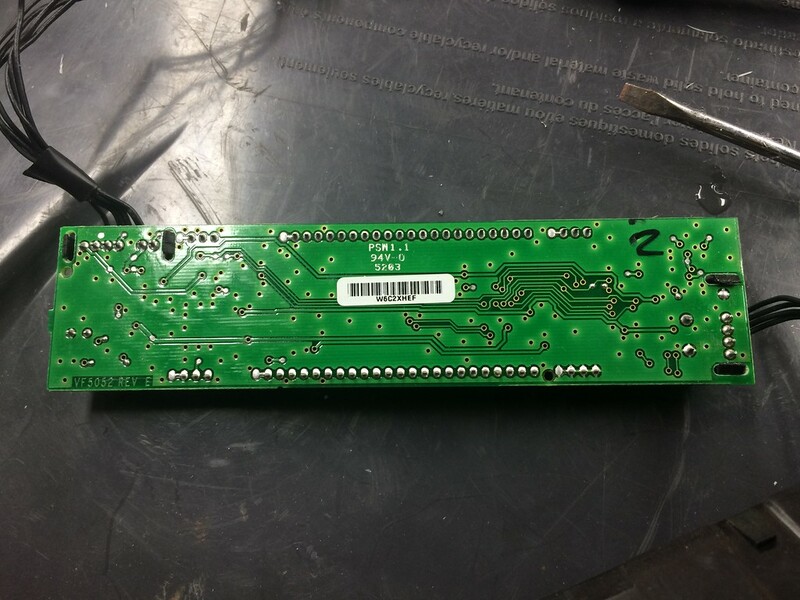 Well, I tried to re-solder all the pins of the led display, but it did not change anything.... I will try to get a hold of someone who knows electronics and will see what he says... I will communicate the details if the situation changes. So today, -14C and the display was perfect...no ghosting whatsoever... So it DOES look like temperature has a role in this... It's getting more and more interesting as I dig deeper in this.. ! 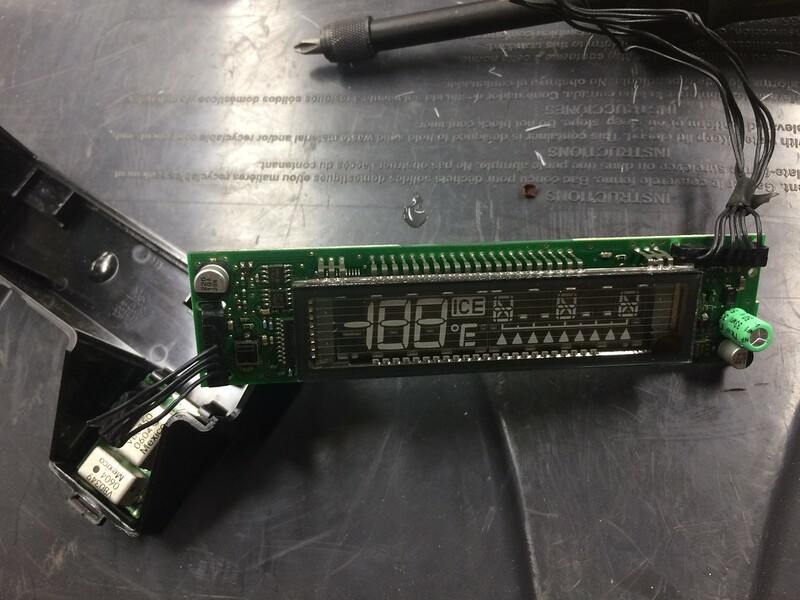 lol in my research, I learned that these display are VFD (Vacuum fluorescent displays)... pretty cool stuff... now the problem has just got more difficult to troubleshoot as it does not do it anymore... I guess I'll have to wait for warmer temperature..
no problem...keep them coming... I had read this one though.. and a bunch of others as I am educating myself about this subject.. everything points to the capacitor (50v 33mf). A colder temperature making a capacitor have a greater capacitance is a known fix for a leaking capacitor. Right now the temperature is cold and the display is pretty much perfect. Although I can clearly see the difference between -14c and -1c today. There is a small ghosting effect today and when it was -14c, there was none. I will bring the truck in the garage and start doing some live test at 20C with can of compressed air (turned upside down)... My goal is try to demonstrate that the capacitor is leaking by showing the ghosting disappearing when I freeze it... should be good. Well..... It did not go as planned ! I tried to freeze the capacitors (and pretty much everywhere I could on the board) and was not successful at making the ghosting disappear (now that the truck is in the heated garage). I still went ahead and replace the 50V 33mf capacitor and it did not change anything.... I think I'm gonna need a professional in electronics for this one... i'll keep everyone informed if anything changes..
Another potential hazard in multiplexing is ghosting. This phenomena is caused by decaying grid signal pulses which are caused by stray capacitance between VFD electrodes and display drivers. If the grid timing overlaps the following grid and anode signal pulses, as shown in Fig.9(a), ghost illumination appears at un-addressed anode segments. To overcome this problem, an inter-digit blanking time should be added between grid pulse timings as shown in Fig.9(b). Generally the inter-digit blanking time should be approximately 10 to 50usec, but this can vary depending on the delay time. Delay time occurs when high value pull down resistor type drivers are used or when the drive circuit is situated away from the VFD. We recommend that an appropriate inter-digit blanking time is utilized on the grid signal only, rather than on both grid and anode signals." For now I will endure the display like it is, but I am excited at the idea of starting this project eventually when time is available. This is turning into quite the rabbit hole! So it wasn't the through-hole cap. What about the two surface-mount caps on that same board?